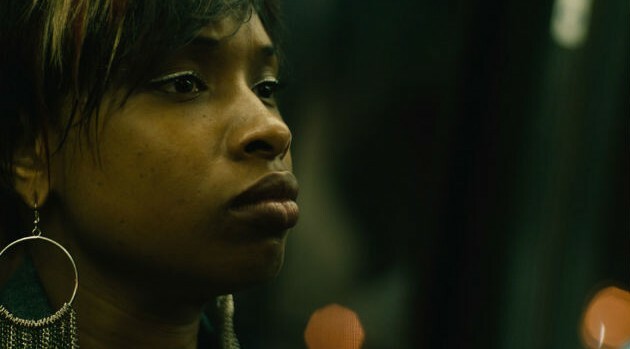 Lionsgate Entertainment Inc.Jennifer Hudson is unlike we’ve ever seen her onscreen as Gloria, a drug-addicted mother in The Inevitable Defeat of Mister and Pete, out Friday. The American Idol alum, who was raised in a Christian household and never even has drunk alcohol let alone experiment with drugs, told ABC News Radio the character was a real departure for her. Jennifer says she went to a rehabilitation center to sit face to face with women who dealt with the addiction problem she tried to portray on the big screen. The Inevitable Defeat of Mister and Pete plays out after Jennifer’s Gloria is arrested for dealing drugs, leaving her son Mister and another abandoned boy Pete, to fend for themselves during a New York City summer. With no money, air conditioning or adult supervision, the boys discover the importance of friendship and community. As a mother raising 4-year-old David Jr., who Jennifer had with fiance David Otunga in 2009, Jennifer found Gloria even harder to tap into because her son was right there on set. “It was difficult for him because he would see me rehearsing and preparing for the role and he’d be like, ‘What’s wrong with my mommy? Why are you acting like that because that’s not how my mommy is? '” she says of her son’s reaction to her playing a heroin addict. It was also a hard part for Jennifer to play because the Academy Award-winning actress felt her maternal instinct kick in when she played opposite Skylan Brooks, the 14-year-old actor who portrays Mister. “Especially the scene when I had to smack him because I’m like, ‘It’s a child!” she admits. Anthony Mackie and Jeffrey Wright also star in The Inevitable Defeat of Mister and Pete, out in limited release today.